Yes, we know Week 1 of the college football season is in the books. However, we don’t like to look at preseason rankings. College Football doesn’t have a preseason or even an exhibition game before Week 1. 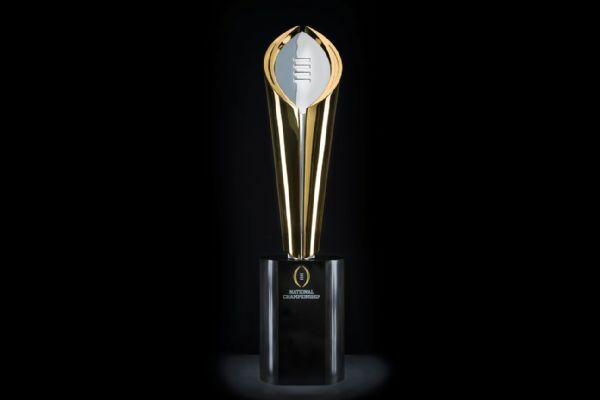 So with that said, the EPs of ELITE give you our picks for each Power 5 Conference (ACC, B1G 10, Big 12, PAC 12, SEC), the CFB playoff, and the Heisman Trophy. – Florida State has Jameis Winston with more experience and a stout defense. With a weak conference with no foreseeable threats, the Noles should repeat. – Returning seven starters on both offense and defense combined with a schedule that features their biggest games (Clemson, Florida, Notre Dame) at home is reason enough to have Florida State as the favorite. The offense will be the highlight of the team with Heisman trophy winner Jameis Winston and all-conference performers Rashaad Greene and Nick O’Leary. The Seminoles secondary, a strong point last season, also returns three of four starters. – Team full of athletes on the offensive end and defensive front 7. With the loss of Braxton Miller, they seem to be the best out of a mediocre B1G 10 this year. – I know no Braxton Miller. Urban Meyer will find a way somehow. – Already my pick to win the conference before the Braxton Miller injury, and now it just makes my stance that much stronger. While I do still believe Ohio State can contend, and Michigan as well as Penn State can be dangerous teams; the Spartan offense lead by returning QB Connor Cook will be much improved. There are several question marks that remain on defense that will be answered in the second game of the season when the Spartans will meet the Oregon Ducks. – Once again, shaky pick I know. I love what Charlie Strong brings them. Toughness and a no-nonsense mentality. They beat OU in a shootout in Dallas. – The Sooners may have the reputation of not being able to show up on the biggest stages, but expect for them to carry the momentum of last year’s Sugar Bowl win over Alabama into this season. Sophomore QB Trevor Knight should have a bigger grasp on the offense this year and the defense returns nine of eleven starters. Also something of note, Oklahoma will only play one team (Texas Tech) on the road that had a winning record last year and all key games, with the exception of Texas (neutral site) such as Tennessee, Oklahoma State and Baylor will be played at home. – One of the most complete teams in the nation and a powerhouse on offense. They can score…. quickly. – Im drinking the blue and gold KoolAid for UCLA. I love Brett Hundley. I love Jim Mora Jr. as a head coach. Best defense in the PAC-12 including Stanford. Their front 7 can get after Oregon. – Yes, this is the year that Oregon finally breaks through. Virtually, the entire offense will be back this season leady by early Heisman favorite: QB Marcus Mariotta. On defense, the front seven will be a question mark but they return one of the best defensive players in the country in CB Ifo Ekpre-Olomu. I’m not quite ready to buy in to what UCLA is doing just yet and while Stanford has constantly been a thorn in the Duck’s side as of late; their game will be played in Oregon and the Ducks will use experience from their Michigan State game in week two to prevail. – Alabama still is probably the most dominant team in the conference, and maybe the conference. Nick Saban will have his guys ready to get after it. – My fan hat is on, but my journalistic eye is keen on this one. Todd Gurley is the best player in the country. Jeremy Pruitt will muster enough to marginally improve the defense. Hutson Mason is surrounded by NFL talent. A game-manager Mason is enough for this team. – Can Hutson Mason pull a DJ Shockley and win a conference title in his only year of starting? Yes. He comes in with an arsenal of running backs and receivers that any quarterback would dream of having and the defense is looking to be much improved under new defensive coordinator Jeremy Pruitt. Seems like so long ago that Georgia was actually a national championship contender after starting off the season 4-1 before injuries derailed their season ending with an 8-5 record. I believe the conference will be decided when the Bulldogs play the South Carolina Gamecocks on September 13th. While I will not be a prisoner of the moment to South Carolina’s lackluster opening performance, I saw enough to conclude that Georgia can win that game. I see Georgia finishing the regular season 11-1 before facing LSU in the SEC championship with the Bulldogs prevailing.